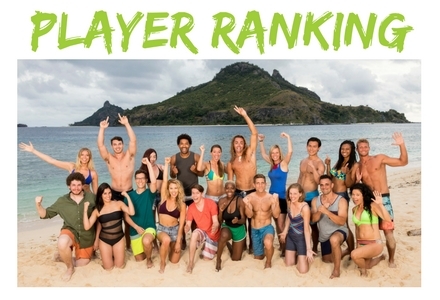 Each week, we rank the remaining players in order of those we think are most likely to stay in the game to those who have the highest chance to be voted out next week. This player ranking is not definitive, but may provide a little insight on possible outcomes in the next episode. Let us know your thoughts in the comments section. Last week, Chelsea was voted out and she was ranked second to last in our player rankings. I figured that Dom and Wendell would vote out Kellyn before Chelsea, but they were obviously more concerned about Chelsea’s challenge prowess. The question this week is will Laurel and Donathan finally make a move against Dom and Wendell? Or will those four players stick together and vote out another former Naviti? I’m putting Sebastian at the top of the rankings this week because he’s not likely to be targeted. All the threats are going to try to get each other out, but no one is concerned about Sebastian. In fact, he’ll probably end up sitting in the final tribal council at this point. Angela is the other “goat” left in the game, though she has a little more game in her than Sebastian does. However, it’s not likely that she’ll be targeted by the bigger players this week. Laurel continues to play the middle, and so far it’s worked well for her. She might finally make her move against Dom or Wendell this week, but the previews make it look like Donathan will be the one spearheading the move. Laurel will probably be safe again this week. Wendell might be targeted, but he still has an idol and will play it if he feels threatened. Domenick might also be targeted this week, but he still has his idol as well. It looks like Donathan is going to try and stir things up at camp, but it also looks like Domenick is onto him. Donathan is playing with fire, and it’s possible he gets burned by the power alliance of Wendell and Domenick. Kellyn is still the easiest vote for Dom and Wendell, so I’m keeping her on the bottom of the rankings. She may be able to pull off a big move, but it’s going to be difficult because she currently doesn’t have the allies (or idols and advantages) that she needs.